With seven games of varying quality, Capcom Beat 'Em Up Bundle is an intriguing package. While the online play may be shoddy, and the lack of extras is disappointing, the overall quality of the set can't be discounted. As a child of the 90s, I have fond memories of wasting money at the arcade. The Jersey Shore was a hotbed of different locations, with hundreds of games spread up and down the boardwalk. 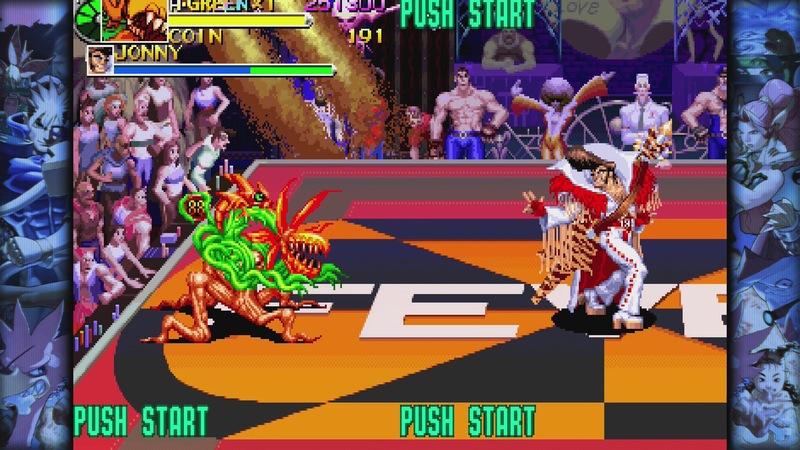 Outside of light gun games, the one genre that always caught my interest was the beat ’em up. Even with the rise of console ports, nothing had been able to touch playing these games with friends under the glow of an over-sized arcade machine. Nothing that is, until now, with the arrival of the Capcom Beat ‘Em Up Bundle. Bringing together seven of the iconic studio’s best offerings, the Capcom Beat ‘Em Up Bundle is an arcade lover’s dream come true. Excluding licensed titles for obvious reasons, the compilation comes with titles both popular and unknown. 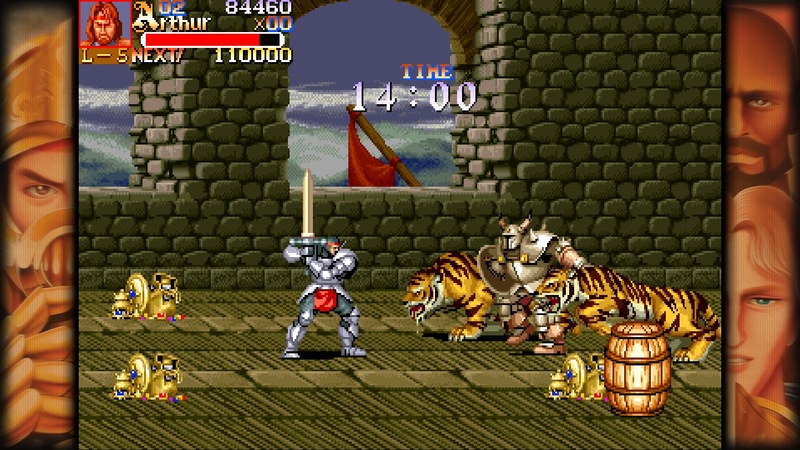 Final Fight, Knights of the Round, Captain Commando, The King of Dragons and Warriors of Fate have all been ported previously, but not to this quality. The two other additions, though, Armored Warriors and Battle Circuit, are coming home for the first time. It’s a solid mix of titles, and not just when considering name-brand recognition. Some are traditional brawlers, while others are filled with strange ideas and fresh wrinkles. Within the set, the two biggest names stand tallest in quality. Final Fight and Captain Commando are still a blast to play in 2018, even if the beat ’em up may feel dated. With a memorable cast of characters and simple, but well executed mechanics, Final Fight is timeless. There’s a reason aspects of it have continued to thrive within the Capcom universe in the years since. While similar to Haggar’s big day out, Captain Commando is enjoyable as well. It’s futuristic setting and strange heroes give it a unique flavor that separates it from the other titles included in the set. Excluding the fresh ports, the other three titles in the Beat ‘Em Bundle are less exciting, but still enjoyable. Knights of the Round is close to a top-tier beat ’em up, but doesn’t do a ton to stand out. It’s mechanically close to Final Fight, but, while it lacks the personality, it does have a fun leveling system in-place. The King of Dragons is another myth-based brawler, also with an interesting level-up system in-place. Neither are particularly deep, but the ability to level up your character is a good way to integrate score-chasing into something more tangible. Warriors of Fate is based around Chinese history, which at least separates itself from the other two history focused games previously mentioned. Thank goodness it has that, as there is very little here that stands out from the others. It’s perfectly competent, but far from anything special. I was excited to try the two new to home consoles titles included in the set because I was totally unfamiliar with either of them. Originally released in 1994, Armored Warriors is definitely more advanced than the beat ’em ups released prior to it. The mech-based brawler has you blasting and slicing through countless robotic foes, all while switching out attachments along the way. As different as it may be, though, it was also my least favorite entry here. The action is way too chaotic, and there’s little personality to anything here. Just faceless mech after faceless mech. And while I like the idea of swapping out parts, the fact that both pick-up and melee strike are mapped to the same button is a major issue. It’s too easy to get stuck switching to an attachment you hate while stuck in the thick of battle. Call it a hot take if you want, but I’d prefer any other game included to this one. Not only making its console debut, but also its North American debut, Battle Circuit may be the weirdest title included in the package. The character designs are off the wall, and the plot is some of the biggest nonsense I can remember reading through. It’s super crazy, and I kind of love it. As one of Capcom’s final releases in the genre, it also feels a little more advanced than the other titles here. The action is smoother and faster, and the option to purchase new moves gives the title welcome depth. It’s a little short, but I’m glad I was finally able to play through it. From a content perspective, it’s hard to find fault with the Capcom Beat ‘Em Up Bundle. Outside of the lone dud, which I may be in the minority on anyway, you get six good-to-great titles that are a blast to play with friends. As long as you got the company, you’re almost guaranteed to have a good time. With that said, I was disappointed with some aspects of the overall package. There’s not a ton of bonus content included, and the lack of visual options is a bummer. Previous Capcom compilations included different visual filters, so the fact that there are none included here is both baffling and disappointing. As expected, both local and online co-op play are included for every title in the set. Local play still remains the best way to enjoy these games in my opinion, but not everyone has that option. Unfortunately, the online play, in my experience, has been shaky at best. I’ve not only had trouble finding people to play with, but I’ve also encountered numerous issues once I manage to get into a game. The countless bouts of lag have been the most recurring issue, but connectivity problems have also frequently arose. I’m thankful I’m in the position where such a problem doesn’t really bother me, but for those who were looking to play exclusively online, consider this a warning. In terms of sheer value, Capcom Beat ‘Em Up Bundle is a smashing success. The classics such as Final Fight remain as enjoyable as ever, while lesser known releases such as Battle Circuit get their chance to shine for a new audience. It’s unfortunate that the set feels like it was rushed together at the last minute. I’m not saying these titles need the same love that Street Fighter got earlier this year, but some decent extras would have been appreciated. Still, as long as you got some friends, and are willing to look past the dated mechanics, there are worse ways to spend a weekend. This review is based on the Xbox One version of the game. A copy was provided by Capcom.